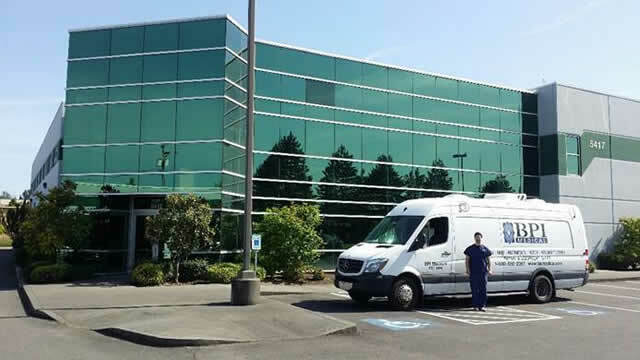 BPI Medical is the Northwest's leading surgical instrument repair and sharpening facility. Now you can get that expertise on-site at your facility. Our mobile instrument repair van is a self-contained curbside shop that is able to handle instrument maintenance and repair on-site at your business location. Our highly skilled mobile technicians inspect and inventory each tray. They then repair, refurbish, sharpen, and maintain all of your sets and trays. At the end of each appointment, the technician provides detailed reports on usage, tracking and beyond economic repair (BER) equipment. In addition to instrument tray and set repairs, BPI Medical provides instrument tray tracking inventory control and management. When your facility signs up for a maintenance repair contract with BPI Mobile, you don’t need to worry about tray inventory and maintenance again. We will meet with you to create a system that works FOR YOU. Whether it's managing your tray inventory, or working lockstep with your staff and internal processes, your tray inventory cycle becomes automatic. When your tray inventory is up to date, problems are resolved proactively, rather than reactively. The instruments are clean and sharp and always ready, saving your staff from unnecessary headaches and problems. We have hospitals that we’ve been working with for over 35 years! Our long standing relationships and knowledge base keeps their tray inventory systems running effortlessly for them. Our clients include a Level 1 trauma center, hospitals, medical research facilities and ASCs. Once your instrument tray maintenance program is defined, we create a maintenance repair schedule that works for you. Some facilities have us come weekly, some once a month, others we spend the entire week there every month – it’s really whatever you need. And if you need maintenance before the next scheduled appointment, we can do that too! Most of all, our customer service team is the best – we hear it time and time again. Our mobile technicians have impressive credentials, training and expertise. In addition to being trained in BPI Medical standards, practices, policies and safety training protocol, they are trained in cleaning surgical instruments and containers. They also are trained on design and making instruments, have trained on metal fabrication: materials, casting and building instruments. They are skilled at powder coating program for laparoscopes and lastly, trained in pneumatics. We are constantly learning and improving to bring that knowledge and expertise to your facility. To schedule BPI Mobile, contact your local BPI representative or call 1-253-883-5040.